Every adventure on the Special Event is about helping and saving others by making good deeds during the time allotted for the expedition. Of course, all your good deeds will be awarded. 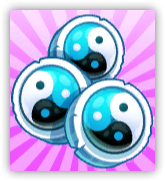 Every step and move on the Event's islands are giving you the special in-game currency - Good Deed Points. GDPs can be converted into another and even more valuable currency - Luck Coins. Well, that should be said, it is the main purpose of GDPs. In order to have an advantage that will be comparable to daily tasks, the Dynamic Rating system based on each player's activity was introduced. The more GDP you collect the higher is your position in the dynamic rating.Every day you have a chance to earn a 10% bonus to your Good Deed Points’ exchange rate (you can find more information on Exchange Bonuses in the article). 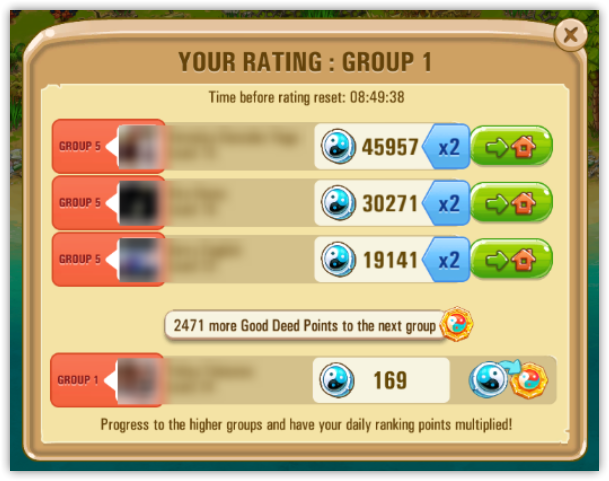 To do that you need to enter the group of the players who earned maximum Good Deed Points – and stay there till the end of the in-game day. The results renew every hour and are being counted at the end of the in-game day (at 21:00 (UTC)). As the system is dynamic and shifts constantly, sometimes it is quite possible that at the very last moments some of the players earned a considerable amount of Good Deed Points and the requirements for the groups changed.